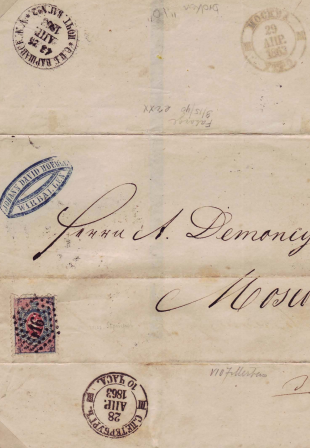 The exhibit "Railway postmarks of the Russian Empire from 1852 to 1917" was developed to demonstrate the results of the author's many years quest for and research on the basic types and rare varieties of postmarks used in Russian postal wagons (PW) and railway stations, mostly on registered and underpaid mail. The results of the author's investigation are captured in numerous articles and the highlights are presented in the exhibit which is arranged in chronological order. Postmarks and mail are arranged in groups according to their types. Within each period of time railway station postmarks follow PW postmarks.